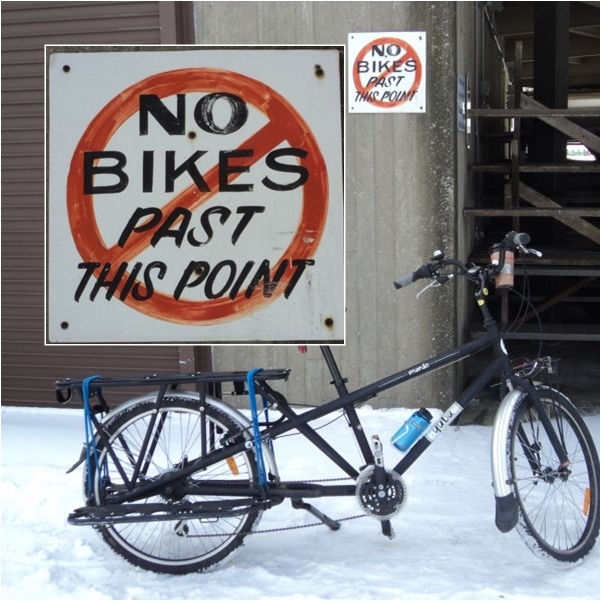 Urban Simplicity: A Cold and Snowy Ride on the Mundo...and a few things I saw and experienced. 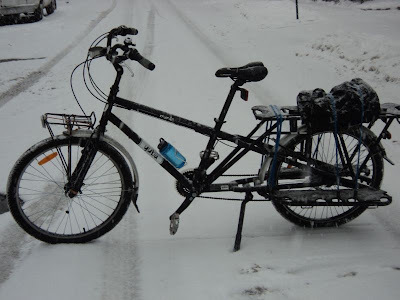 A Cold and Snowy Ride on the Mundo...and a few things I saw and experienced. This past week I've had off work (have to go back tomorrow...not looking forward to it) and because of the very cold weather that has returned I've been in a sort of hibernation mode and have only using bikes for very short rides (and have been using my truck more than I like). At any rate, yesterday it was a such a beautiful and sunny day (to start) that I thought I'd do a bit of a personal biathlon...a few miles on the Mundo followed by a half mile swim (and 30 minutes in the shvitz). And as I mentioned, while it was cold 19F (-7C) the day had begun very sunny...but that didn't last. 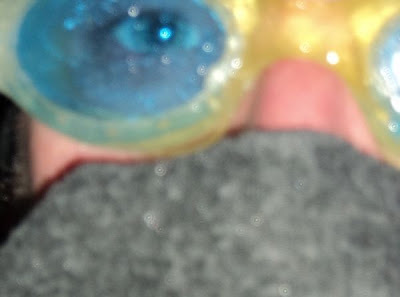 When I came out of the health club after my steam and swim I encountered a brief but heavy lake effect snow shower. The above photo is just after I reached home; it was coming down so heavy the snow was accumulating on me and the bike as I rode...at one point I could not see a few feet in front of me (because I had to squint) so I actually stopped and put on my swim goggles so I could keep my eyes open...but then everything had a slightly blue hue to it...very soothing. Anyhow, I thought I'd share a few photos; here's a few things I saw on the way. This is a bit ironic (and scary), I thought. 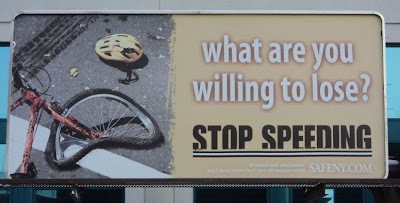 After being cut off by an SUV driver I pulled into a parking lot to adjust my scarf and coat and have a sip of coffee, I looked up and saw this billboard on the side of a building. Next I rode down to Erie Basin Marina, which in the summertime is packed with people...now I was the only person, save for a few people in cars and a lone jogger. I didn't have to worry about obeying the sign below. 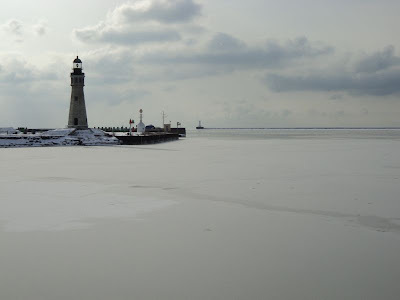 Here's a photo of the Buffalo (main) Lighthouse where three bodies of water meet: the Buffalo River (which also connects to the Erie Canal), the Niagara River, and Lake Erie. Off to the right is Canada. Very tranquil. Though this is just on the edge of downtown it feels as if you are miles away from the city at times (especially in the dead of winter). 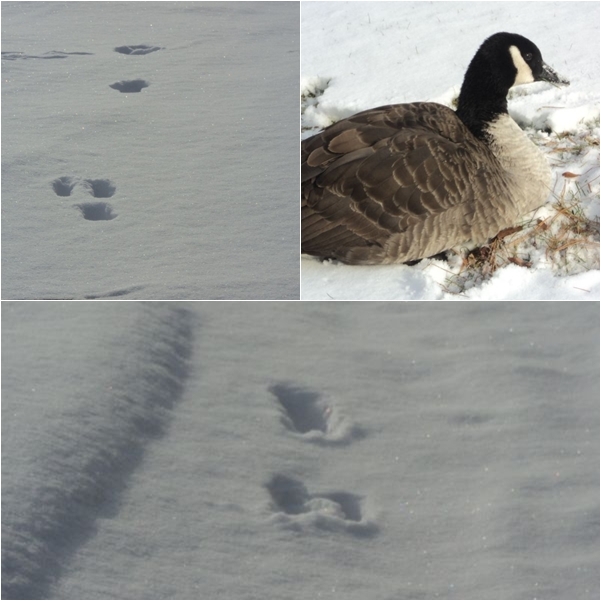 Two rabbits zipped past me, and I stopped to watch a goose burrowing for food in the frozen grass. One of the things that is beautiful about Buffalo is it's architecture (mostly from a bygone era), and it's something I never tire of looking at. I always have to stop and admire the beauty of our majestic city hall. None-the-less, it was still a fun ride and it felt really good to be out in the elements; gives me a feeling of accomplishment (though I will admit it felt better to get home and throw another log on the fire). Thanks for taking me along for the scenic ride. I had the same squall here in St. Catharines. Ditto from Niagara County on the squall. I did a 30 mile loop from Lewiston to Youngstown to Ransomville and back to Lewiston. Hit the squall at about the 2/3 mark and it got a little wild and woolie there for a while. 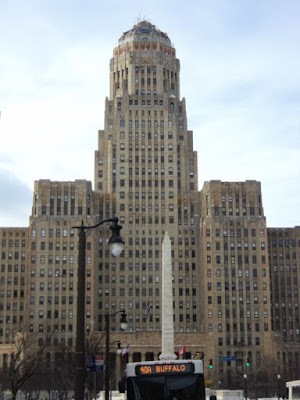 Thanks for the great shots of Buffalo. Every time we're there it makes us homesick. We lived there for 25 years and it's a wonderful place to call home. As beautiful as the marina is, I think I like it a little better in the summer, when I'm usually up there. But the Canada goose was exquisite! Love the shot of the lighthouse. Very peaceful. It is a shame that we no longer have the vision or long term view to architecture and the built environment that previous generations had.